Sweetie™, Gala’s sweeter, crunchier cousin, is available exclusively from FirstFruits Marketing. 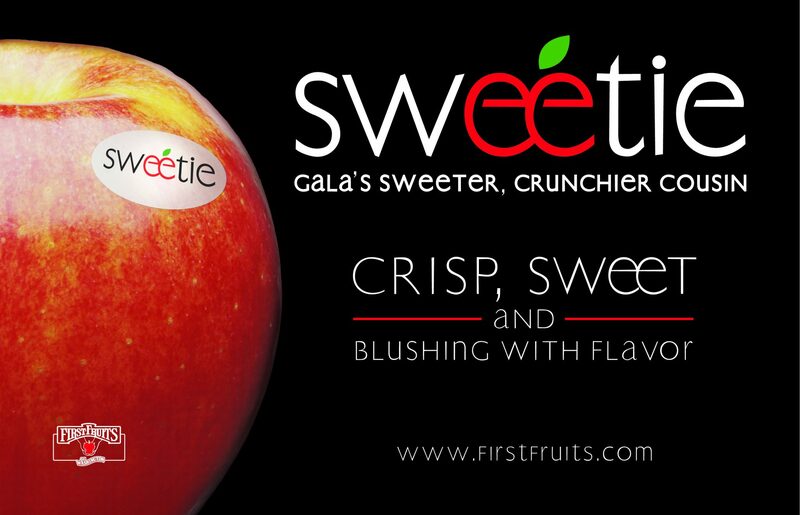 Sweetie apples are highlighted by a sweet taste and firm texture and their beautiful red color is accented by golden cheeks. With an international heritage, these apples were discovered in France and are considered a cross between a Braeburn and Royal Gala apple which accounts for their great flavor. Full marketing support is available including high-graphic packaging and point-of-sale materials. Learn more about the full marketing program and how you can get involved with this new apple by contacting FirstFruits Marketing.